After The Knee Is Fixed, How Long Before The Player Returns? One week after the brilliant young quarterback Robert Griffin III blew out his right knee in an NFL playoff game, fans' questions have morphed from "How could this have happened?" to "When do we get him back?" But figuring out when an athlete with damaged knee ligaments can get back in action is an inexact art at best, because medicine has yet to come up with a solid way to fix a knee. The flu season began early this year and has struck hard in many areas of the country. On Saturday, New York Governor Andrew Cuomo declared a public health emergency for the state of New York, and last week Boston Mayor Thomas Menino declared a similar emergency within the city of Boston. If you live in a college town, you might have noticed that campus coffee shops are still buzzing late into the evening. And that makes sense. New survey data from the NPD group, which tracks trends in what Americans eat and drink, finds that 18- to 24-year-olds are turning to coffee, rather than caffeinated sodas, as their pick-me-up of choice. A smoldering epidemic already affects an estimated 4 million Americans, most of whom don't know it. It's hepatitis C, an insidious virus that can hide in the body for two or three decades without causing symptoms — and then wreak havoc with the liver, scarring it so extensively that it can fail. Half of all people waiting for liver transplants have hepatitis C.
A lot of you have had it by now, or are having it or are about to be exposed. This year's flu is called "H3N2" and this week it's doing big business in about 47 states, Chicago and New York. If you've had a flu shot and if you wash your hands several times a day for 20 seconds, (which is the time it takes to hum "Happy Birthday to You" two times through) you might reduce your odds of getting sick. Not quite 10 months after Haiti's devastating 2010 earthquake, a more insidious disaster struck: cholera. 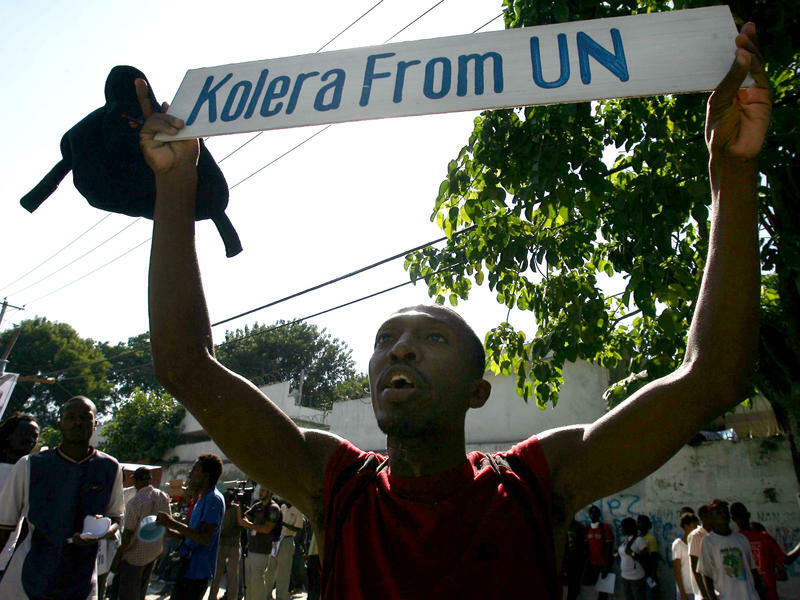 Haiti hadn't seen cholera for at least a century. Then suddenly, the first cases appeared in the central highlands near a camp for United Nations peacekeeping forces. It's been only a few years since Congress granted the federal government the power to approve how tobacco products are made and sold in the U.S. 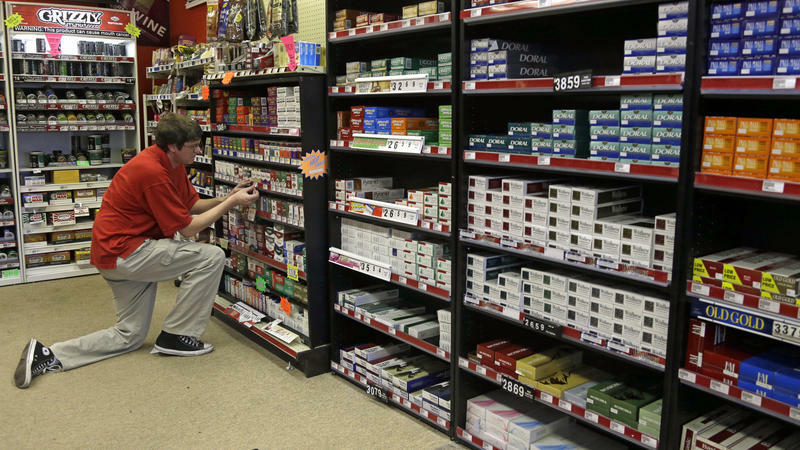 The Food and Drug Administration's new Center for Tobacco Products, established under a 2009 law that gives the agency jurisdiction over tobacco, must review all new cigarettes or smokeless tobacco, as well as any changes to existing brands. But the agency has yet to clear any products under the new system, and some cigarette makers are frustrated by the backlog of applications. Saturday marks the third anniversary of the powerful earthquake that destroyed much of the Haitian capital, Port-au-Prince. The quake killed roughly 200,000 people and left 1.5 million Haitians homeless. Despite billions of dollars in international aid and pledges to help Haiti rebuild from the disaster, very little new, permanent housing has been built. And about 350,000 Haitians are still living in squalid, makeshift camps — where they face an array of health challenges. The tantalizing aroma of freshly baked brioche is hard to resist, while a virtuous loaf of whole wheat often lacks that same allure. Blame it on the ferulic acid. 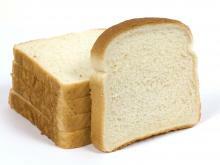 See, whole-wheat bread contains all parts of the wheat, including the bran, but white bread does not. That bran in the wheat bread contains the aforementioned ferulic acid, which overrides the compounds that give white bread its mouthwatering smell, according to new research. 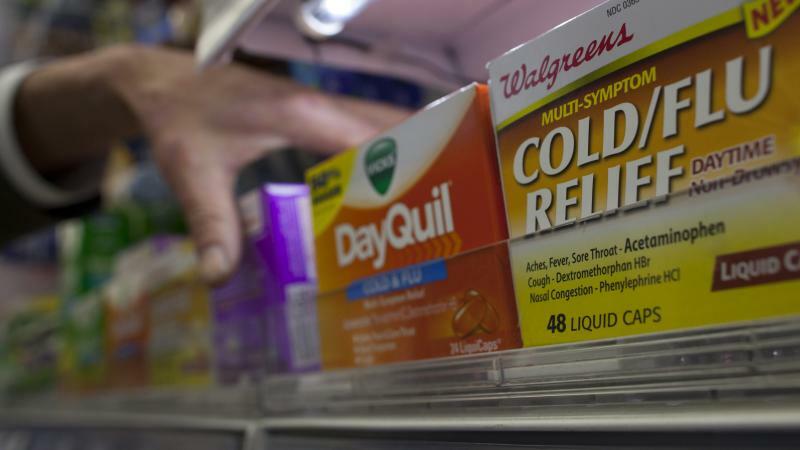 Federal healthy officials said Friday there are some early signs this year's flu season may be easing in some parts of the country. But they stressed it's far too early to tell whether the flu season has peaked. The number of states reporting widespread flu activity is up to 47, according to the Centers for Disease Control and Prevention. But flu activity nationally fell slightly in the CDC's most recent data. Five states reported less flu than a week earlier, according to the CDC. This is SCIENCE FRIDAY. I'm Ira Flatow. This isn't going to take you by surprise, but America is fat. One in three adults is obese. For kids, it's one in six. But don't forget the infants. Doctors say there's now an obesity epidemic among six-month-old babies. And if you think you're safe because you're thin, consider that up to 40 percent of thin people have metabolic syndrome, in other words, on the road to type 2 diabetes, even if they can't tell by looking in the mirror. Up next, Flora Lichtman is here with our Video Pick of the Week. Hi, Flora. FLORA LICHTMAN, BYLINE: Hi, Ira. LICHTMAN: The analog digital, your fingers. FLATOW: Your fingers. That's what it means in Latin or something, right? 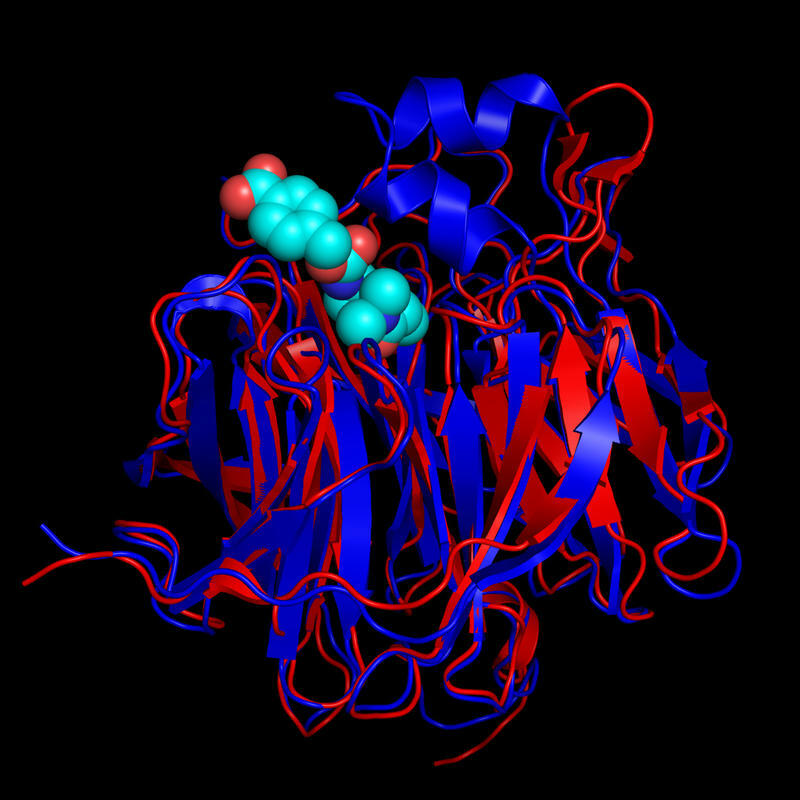 Next up, yet another way that genetics is giving rise to new ways to treat cancer. A few months ago I was at a conference focusing on individualized medicine; that's treating people individually, using medicines that were designed for each person's genetic makeup. It's a new frontier that we'll be talking about more. This is SCIENCE FRIDAY, I'm Ira Flatow. Pap tests are routinely used to screen women for signs of cervical cancer, but now researchers from Johns Hopkins University in Baltimore say the tests might be able to detect ovarian and uterine cancers as well. We're almost two weeks into the new year. We're thinking about the resolutions that many people may have made, and you often hear people talking about getting their finances in order or eating better or getting in shape, but we also notice that many people are telling us that they are resolving to unplug more from the stress of our fast-paced lives. Some people are saying that they're going to spend more time in silence, so why don't we give it a try? Here it is. Let's go. Drugmaker Merck just stuck a fork in a vitamin-based drug to prevent heart disease and stroke. 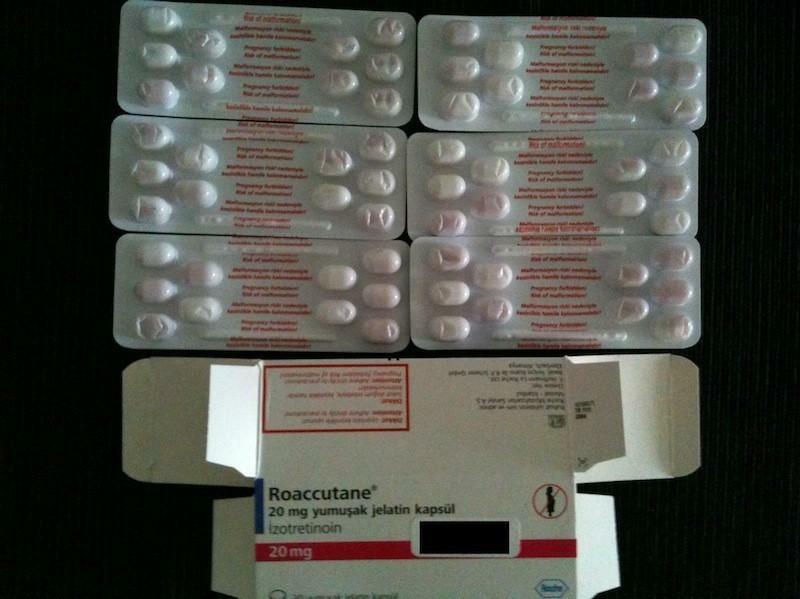 The company is withdrawing Tredaptive, a long-acting pill combining niacin (No. 3 in the long list of B vitamins) and laropiprant, a chemical that reduces the unpleasant skin flushing caused by high doses of niacin. 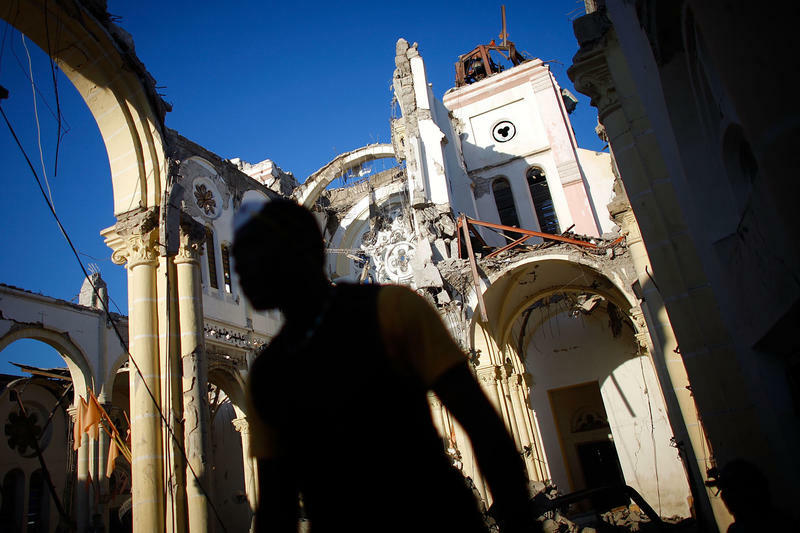 Evidence of loss remains even three years after a massive earthquake claimed the lives of as many as 200,000 people in Haiti. In the middle of Haiti's capital, Port-au-Prince, there is a cathedral whose sun-washed walls reach into the sky where a roof used to be. A lone flagpole marks the spot where the National Palace, a symbol of Haiti's government, once proudly stood. And on a downtown street that once bustled with storefronts, there is now a row of vendors who sell their wares under tent poles and umbrellas. "Rx-Promotion and SpamIt probably are responsible for upward of 50 or 60 percent of spam that you and I got in our inboxes over the last five years," said Brian Krebs, a cyber-security reporter who chronicled the alleged feud on his website. "It's just a ridiculous amount of problems that these two guys cause for everybody." Florida and several other states are wrestling with a decision: whether to expand Medicaid. When the Supreme Court upheld the Affordable Care Act last year, the court said states could opt out of that part of the law. 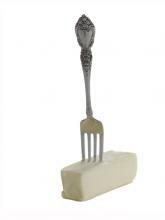 But it's key. It would provide coverage to millions of low-income Americans who currently have no health insurance. Florida Gov. Rick Scott says he's concerned about how much expanding Medicaid would cost. But others charge the governor is exaggerating. 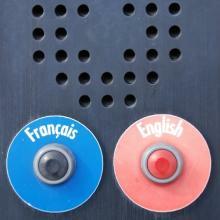 Not so long ago bilingualism was thought to be bad for your brain. But it looks more and more like speaking more than one language could help save you from Alzheimer's disease. Living with an overweight parent, child or spouse can be difficult. Loved ones who want to help a family member struggling with obesity may be hesitant to broach the subject for fear of causing shame or making matters worse. 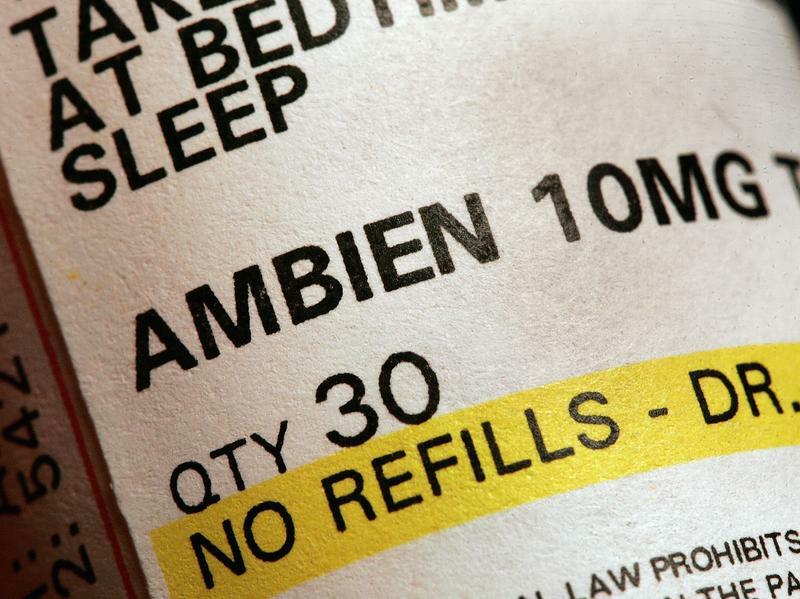 The Food and Drug Administration announced Thursday that it was requiring companies that make Ambien and similar sleeping pills to sharply cut the doses of the drugs. We were warned that this year's flu season was likely to be a bad one, and now that forecast is starting to bear out. If there's one thing we love more than talking about beef here at The Salt, it's visualizing the U.S.'s insatiable appetite for meat through infographics and charts. 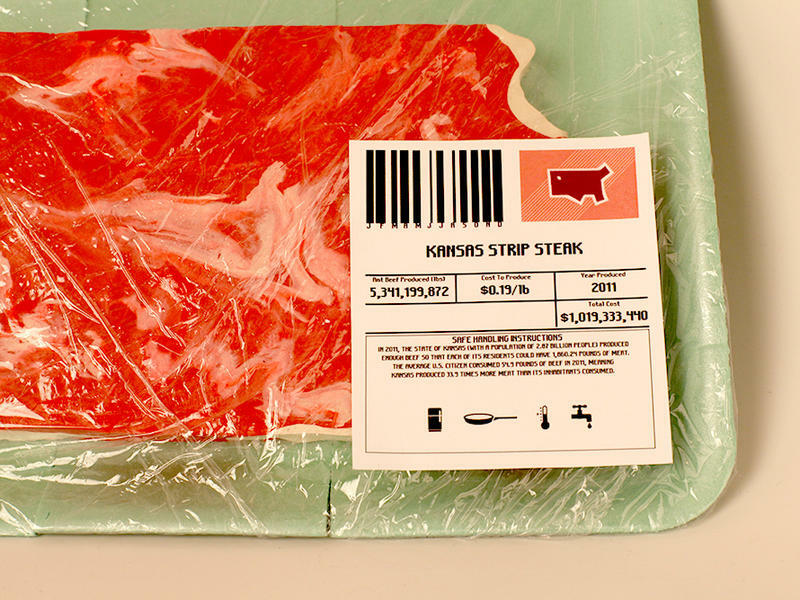 So when we ran across Sarah Hallacher's Beef Stakes project over at Fast Company's Co.Design blog, our eyes lit up like the charcoal grill on Super Bowl Sunday.